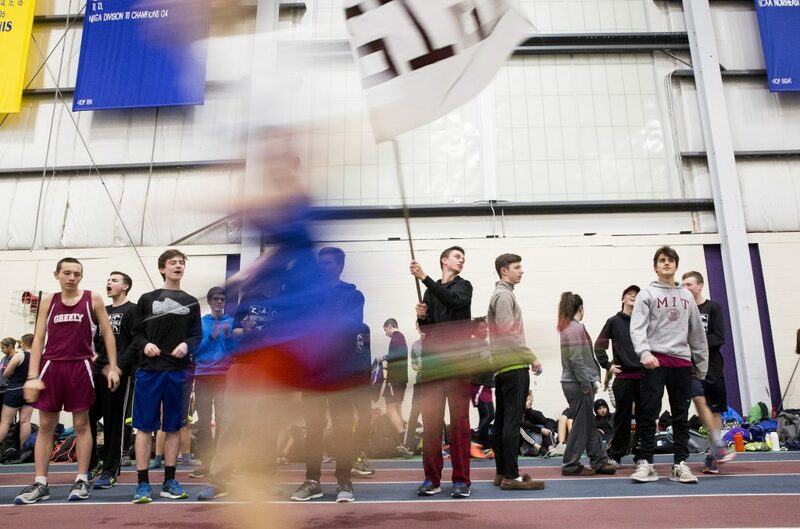 Falmouth dominates the boys' meet, but the Greely girls prevent a sweep by the Yachtsmen. 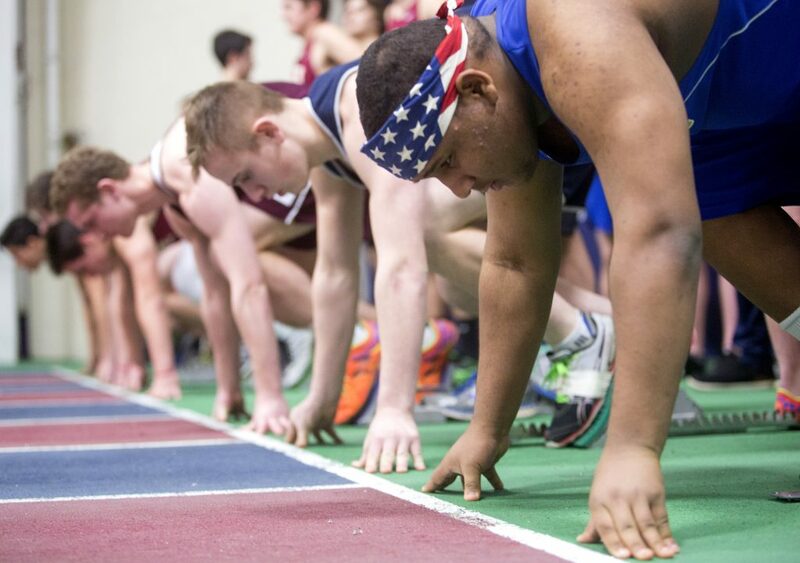 Falmouth High is leaving the Western Maine Conference after this school year, and the boys’ indoor track team made the most of its final league championship meet Friday night. The Yachtsmen, who are joining the Southwestern Maine Activities Association, scored 175 points to run away with the boys’ title. York was second with 114 points and Greely finished third with 79. In the girls’ meet, Greely rode the strength of its distance runners to a close win over Falmouth, 117-109. Falmouth Coach Jorma Kurry, who started the school’s indoor program 18 years ago, said depth was the most important factor for the Yachtsmen. That depth has helped the team deal with several with injuries. 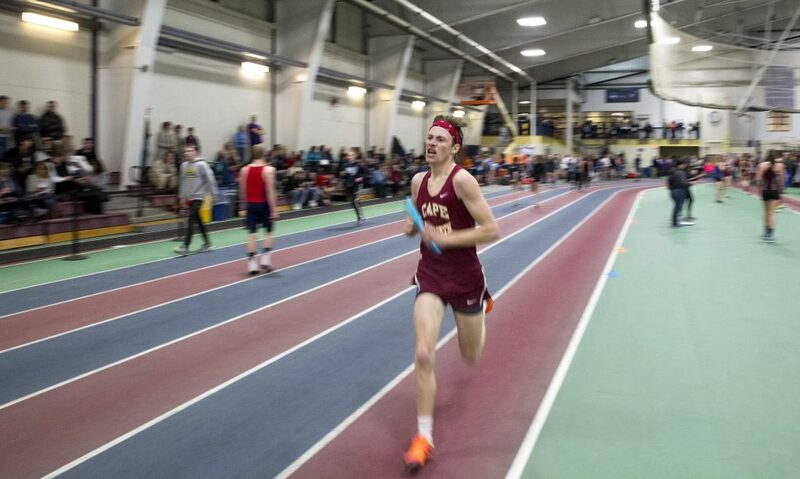 Falmouth went 1-2 in the mile, with John Auer winning in a time of 4:43.65, while Conner Piers took second in 4:48.88. In the 2-mile, Auer and Piers came back to finish second and third. Auer was the runner-up with a time of 10:25.10, while Piers took third in 10:41.27. 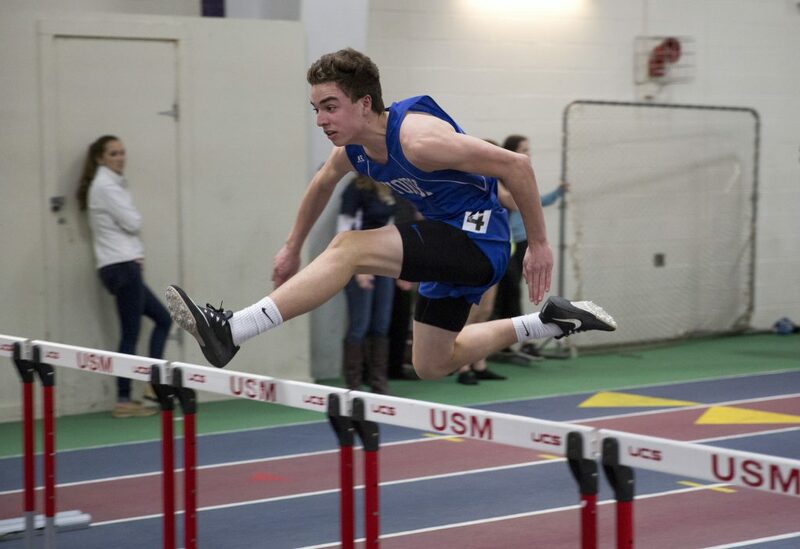 Falmouth also got a lift from Noah Gull, who won in the 55-meter hurdles in 8.59, and Ben Wyman, who won the high jump at 5-8. “This was Ben’s first year doing the high jump,” Kurry said. “He’s the No. 4 guy on our cross country team. 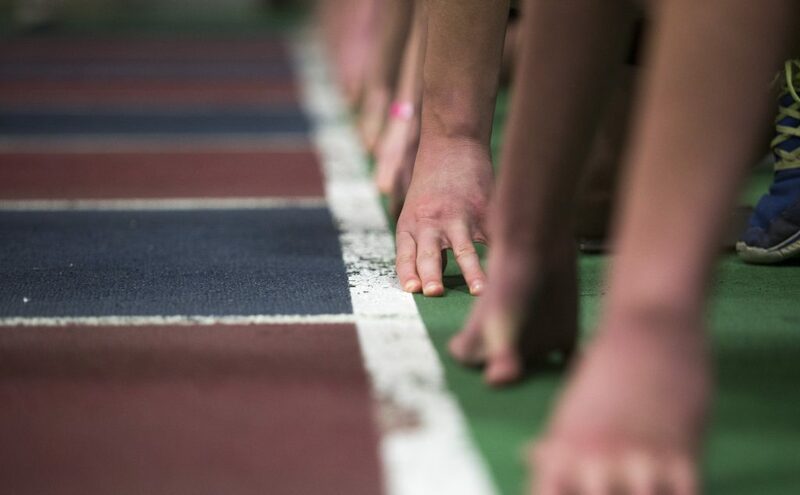 Many of Falmouth’s points were from athletes who scored in multiple events, such as Ben Rudnick, who took third in the 55 dash (7.04) and fifth in the 200 (24.55). In the girls’ meet, York jumped out to the lead winning the 3,200-meter relay by 50 meters (10:04.20). The Wildcats also took first in the 400, as Morgan Smith cruised to the win (61.44). 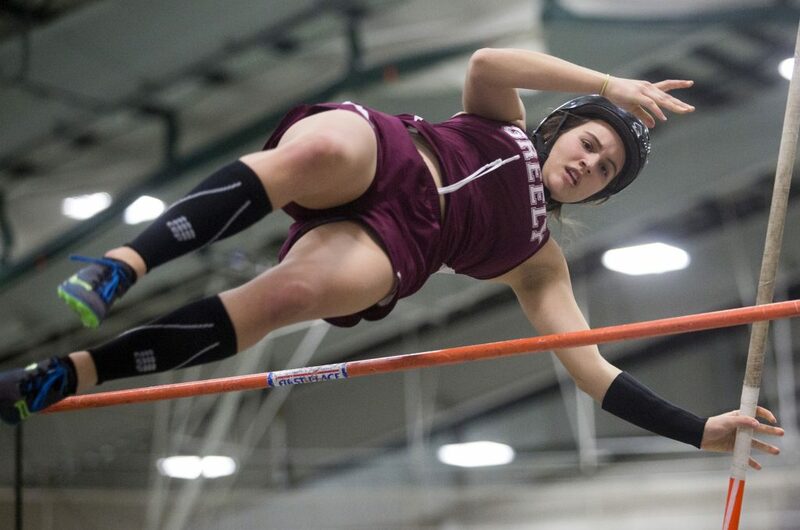 After seven events, York led the girls’ meet by seven points, with Falmouth in third and Greely in fourth. But Greely took the lead after the 2-mile and held it. Leggat-Barr also took second in the mile (5:13.22). 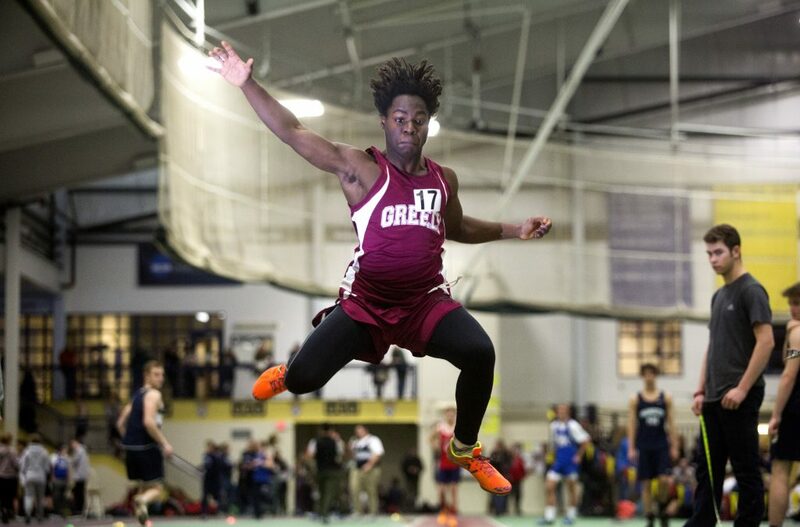 Greely placed second in the 3,200-meter relay (10:13.59) behind York (10:04.20). The Rangers also got big performances in the field events from Lauren Williams and Elizabeth Brown, who were 1-2 in the high jump with marks of 5-2 and 5-0, and Maggie McCormick, who won the pole vault (9-0). In the long jump, Greely’s Zoe Lambert who placed second (15-91/4) and Morgan Selby who took third (15-4). “I was almost surprised we won,” Folan said. “I didn’t think we’d do as well as we did.